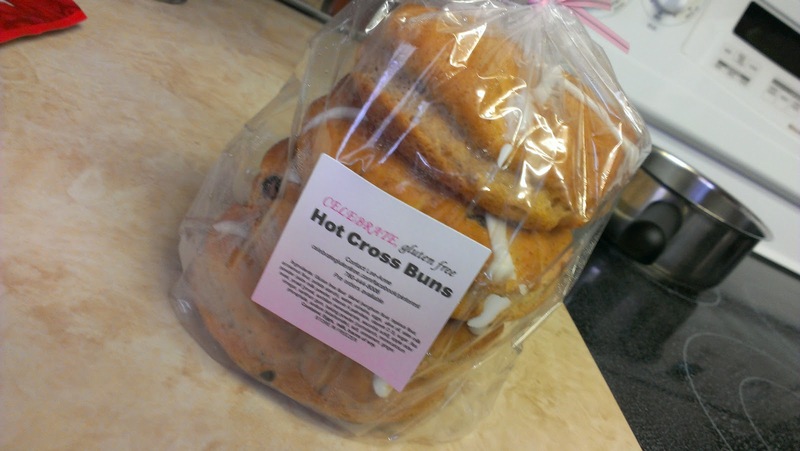 We received an email from Leanne at Celebrate Gluten Free sharing with us her newest creation....Gluten Free Hot Cross Buns just in time for Easter. 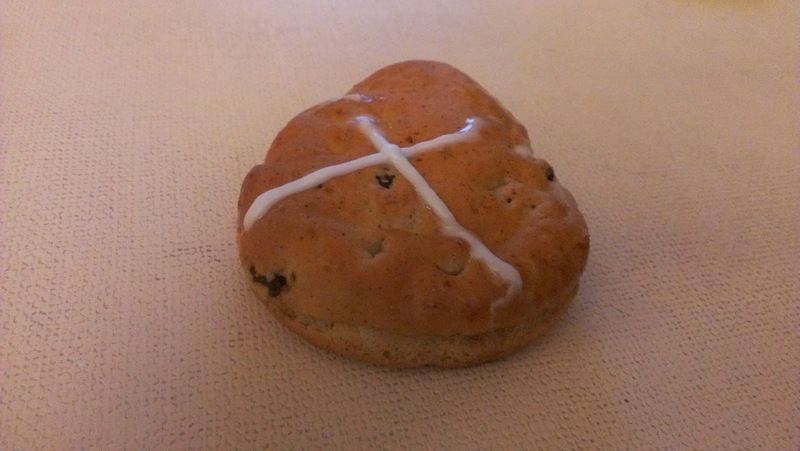 While we don't celebrate Easter in our home, we do enjoy a good hot cross bun. It is always enjoyable to come home and find a little gluten free treat waiting on your front doorstep. Leanne was not kidding when she said that her Gluten Free Hot Cross Buns were delicious! Leanne and Celebrate Gluten Free are often seen at the various Farmers Markets through out Edmonton, most recently we ran into Leanne at the Downtown Farmers Market. As I explained to Leanne the hot cross buns were excellent, they were light, fresh and perfectly seasoned with just the right spice ratio. They held up nicely even after being in the fridge for a couple of days (can't eat too many sweets all at one time). My only request would be to put more of the sweet topping on the top of the buns, but that I know is a definite personal preference. The Celebrate Gluten Free hot cross buns are and excellent addition to any table and are currently available, just in time for Easter.